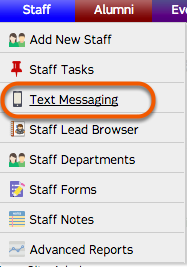 Under the Staff tab select Text Messaging. 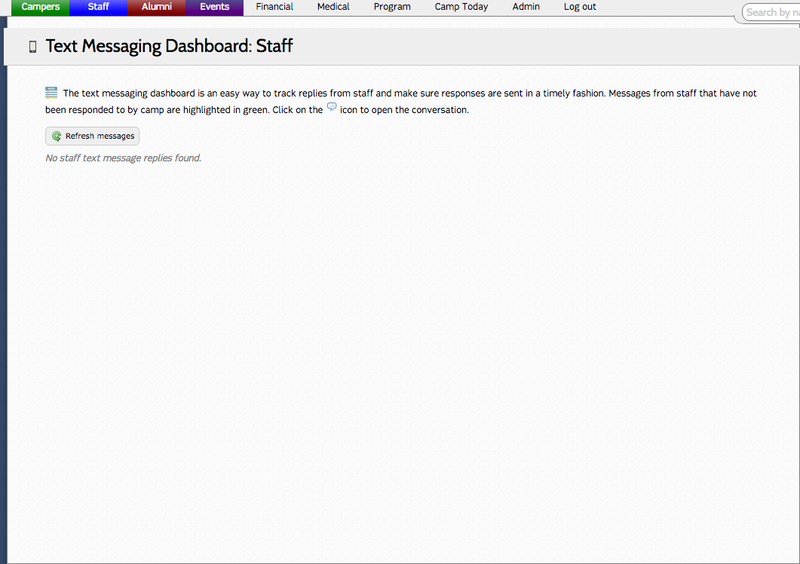 Here you will find any messages that have been sent to or received from staff. The "talk bubble" icon is for responding to a staff member. White indicates that a staff member has been replied to. 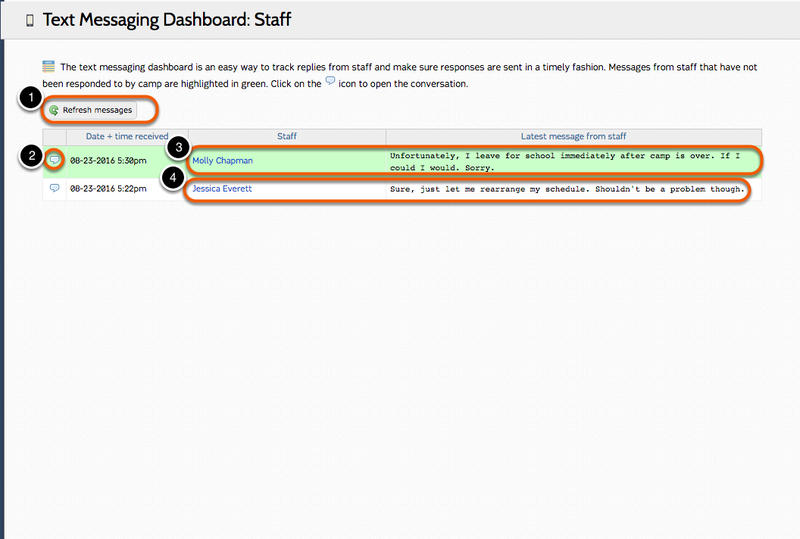 Green indicates that a staff member was the last to respond and may need a reply.